River Woods is inspired by traditional American sportswear. The style of clothes is based on the use of modern materials, printing and dyeing, and textiles, while maintaining the traditional jersey. It produces a wide range of distressed jerseys and casual blouses. The clothing origin is from Belgium, the United States and other places, usually a T Shirts over 1,000 yuan. 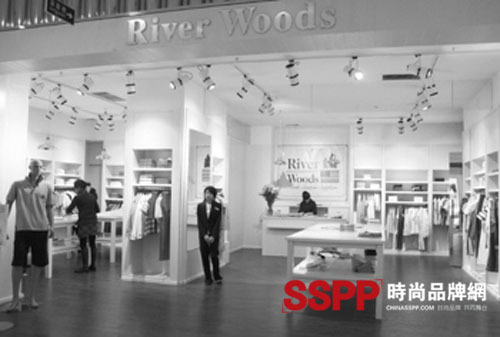 On Saturday, River Woods, an international brand that specializes in sports shirts and casual clothes, entered the city's Intime Department Store. According to reports, River Woods is inspired by traditional American sportswear. The style of clothes is based on the use of modern materials, printing and dyeing, and textiles, while maintaining the traditional jersey. It produces a wide range of distressed jerseys and casual blouses. The clothing origin is from Belgium, the United States and other places, usually a T Shirts over 1,000 yuan. The reporter saw that River Woods has men's, women's and children's wear, and also provides casual wear, sportswear and accessories for infants. The colors of the brand's clothing are particularly leaping. Different series use a series of unique colors and raw materials, which are both functionally satisfying and aesthetically pleasing.